Take your adventures into the night to save the day with PJ Masks Sing and Talk Plush Owlette! 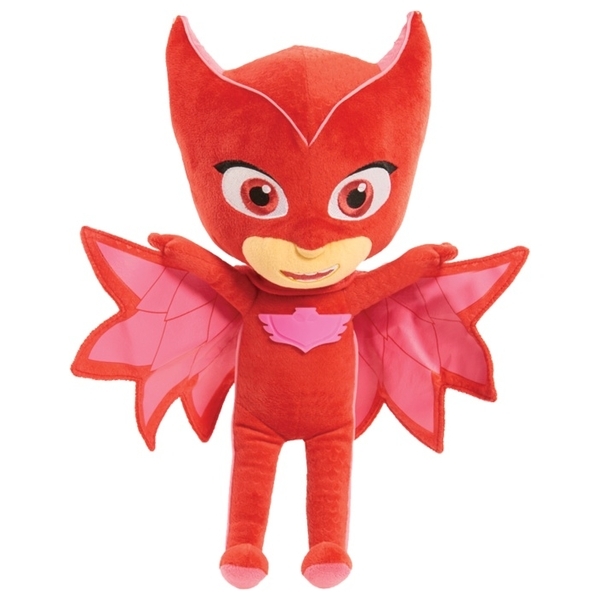 This 35cm tall plush hero characters are highly detailed and made with soft deluxe fabrics! Press their hands to hear phrases from the hit TV series, PJ Masks, and sing along to the theme song! Activate the hero amulet on their chests to light up the night! The perfect gift for every PJ Masks Fan.